As we know wordpress is very popular CMS (Content Management System). Many of Tech-guys, Webmasters and Blog owners Website owners uses it to share their thoughts and knowledge. If you are one of them, then you have to read this article carefully. Wordpress is open source so its source code is available for everyone. Therefore it is easy for Hackers to hack Wordpress. Because they can find errors in the code very easy. No doubt, the security features of Wordpress are very good and secure, but as you may know that nothing is perfect in this world. No program is error free. There are always some loopholes that helps hackers to take access to your blog or site. 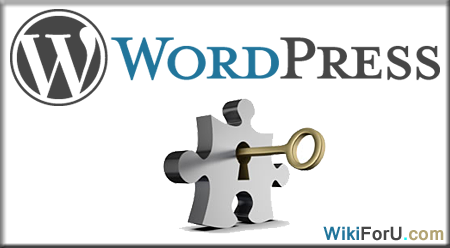 If you want to secure your wordpress then the best and simple way is to updating your plugins regularly. Because newer versions has so many security features and old loops solved. Therefore it is must for a blog administrator to update plugins regularly. If you are the owner of one blog then its pretty simple for you to do so. But it is very difficult job for multi blog owners who have a number of blogs, so it takes hours of hours to maintain them all and to update all plugins on regular basis. For those i have found a good software and want to share with all of you. This software is very simple to use, you don't have to install it to your Wordpress blog, no need of uploading via FTP. Just Download and install it and you are ready to start. This software is Auto Wordpress updater. A couple if things i want to make clear that this is not a wordpress plugin, this is a windows based software. and second thing is that this is not free ( very very sorry for that). The creater of this software is also a wordpress user and he don't want to distribute it freely. He costs it $14 for all. He also offering 30 days money back guarantee. So you can get back your money if you are not satisfied with this software. This software is not working on Mac OS. It only works on Windows. (not sure about linux). And on thing more , it doesn't update your themes. This only updates your plugins. This Wordpress Auto Updater will update all plugins of all your blogs in a minute. You just need to push a click on your mouse and thats all. Isn't pretty ? No matter if you have 2 or 20 or 200 blogs and they have 200 plugins, you just need a click. So if you are interested in buying this software, please goto the page link given below and download.